Laura Chenel started a new chapter in American goat cheese through her commitment to care, quality, and community. 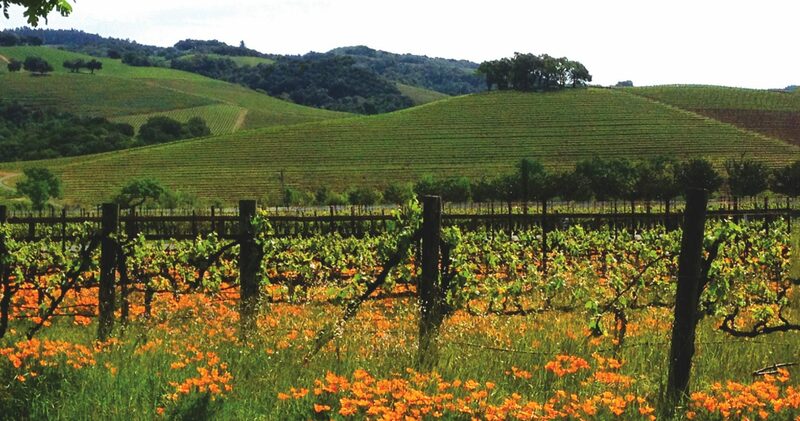 We're carrying the torch still from the heart of California wine country. 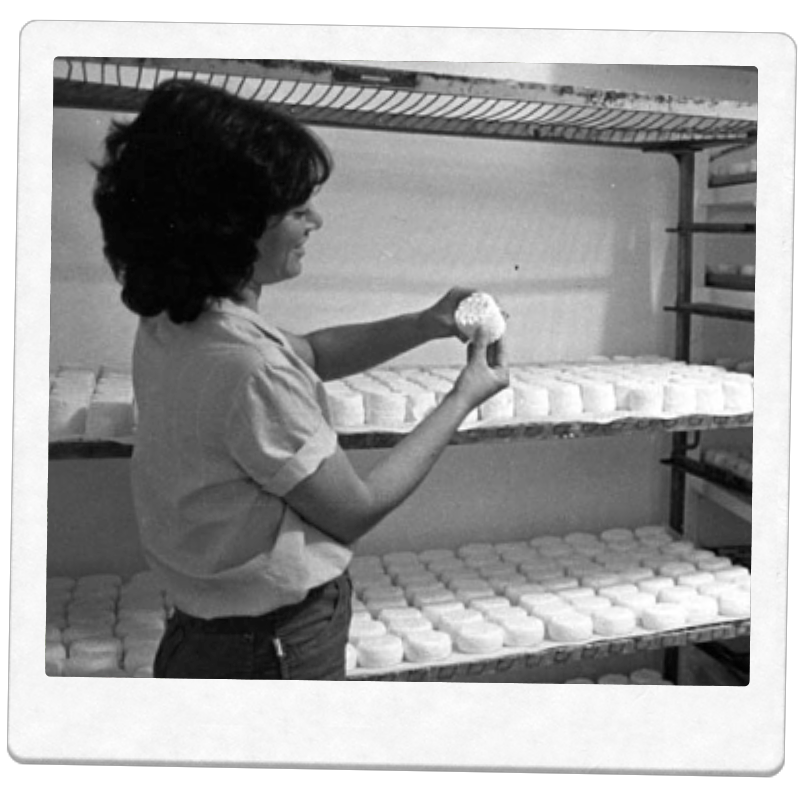 In 1979, Laura Chenel began crafting her own farmstead goat cheese. Using techniques she learned in France and milk from her own goats, she became synonymous with quality and taste. This is her story. 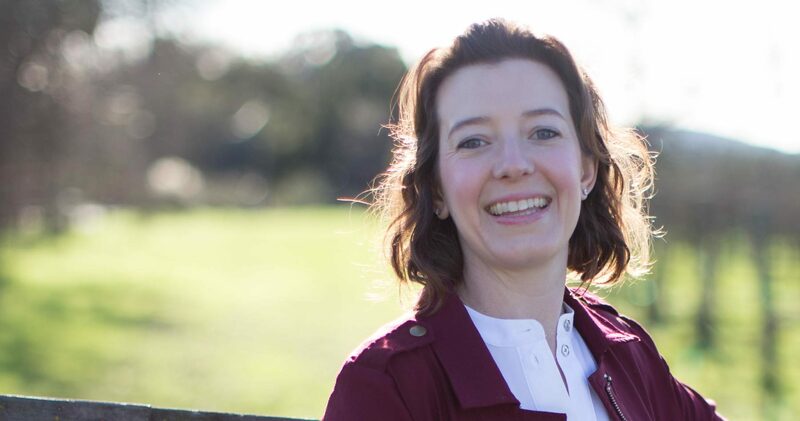 After spending 10 years working and studying in Europe, New York and the San Francisco Bay Area, Laura Chenel returned home to Sonoma County, undecided about her life’s direction. She was eager to return to the land so that she could be self-sufficient. 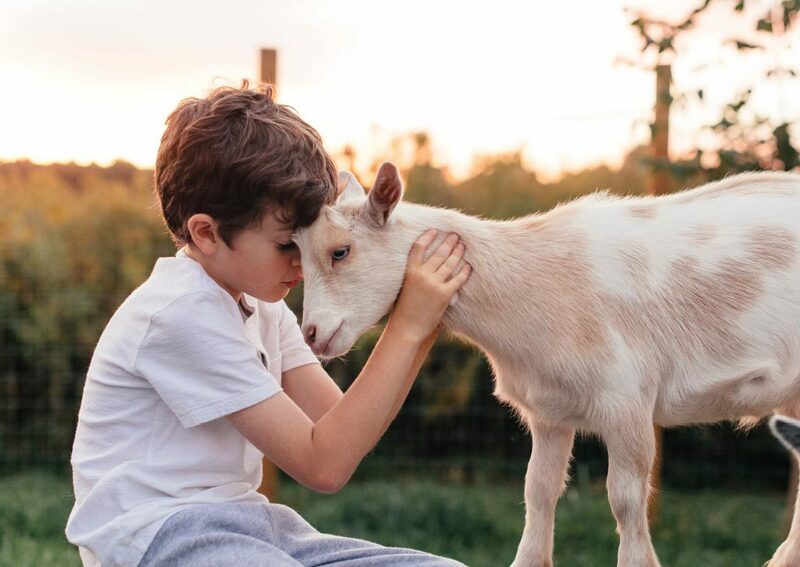 As she was particularly concerned about eating and cooking healthy, natural foods, and having always been intrigued by goats, she decided to buy her first goats. As the herd continued to grow, Laura became attached to them. As the quantity of milk increased, she felt responsible for the milk and wanted to transform it into something that would pay tribute to its makers; therefore, she found herself drawn to cheese-making. Laura’s first attempt at making cheese and yogurt was not satisfactory, as her knowledge of goat cheese making was limited. In 1979, she decided to travel to France in hopes of discovering the secret of making tasty goat cheese. While living with four French farmstead families, she learned the right cheesemaking methods. Back home, she combined her knowledge gleaned in France with her creativity to achieve her own cheese-making style. 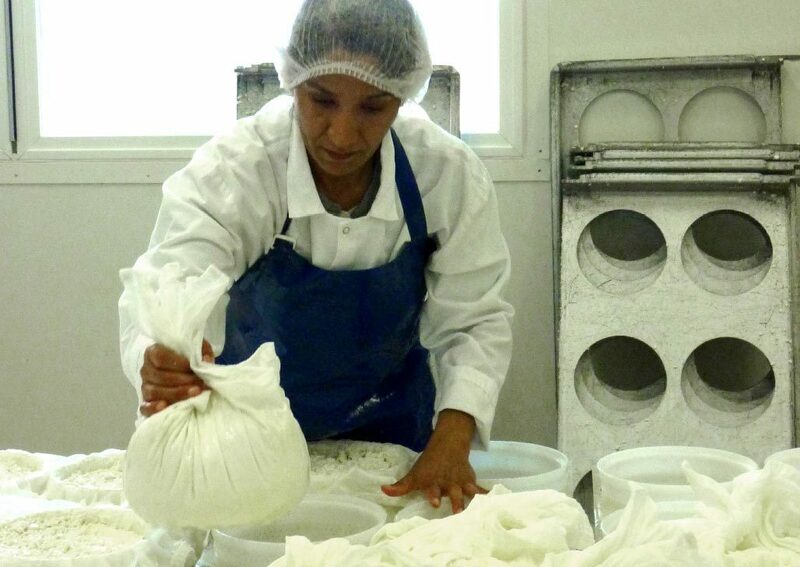 Soon she was producing and selling her first cheeses. One of her very first customers was the legendary chef Alice Waters, owner of Chez Panisse restaurant in Berkeley, Calif. Waters fell in love with Laura’s cheeses and decided to place a standing order for the restaurant (50 pounds a week). 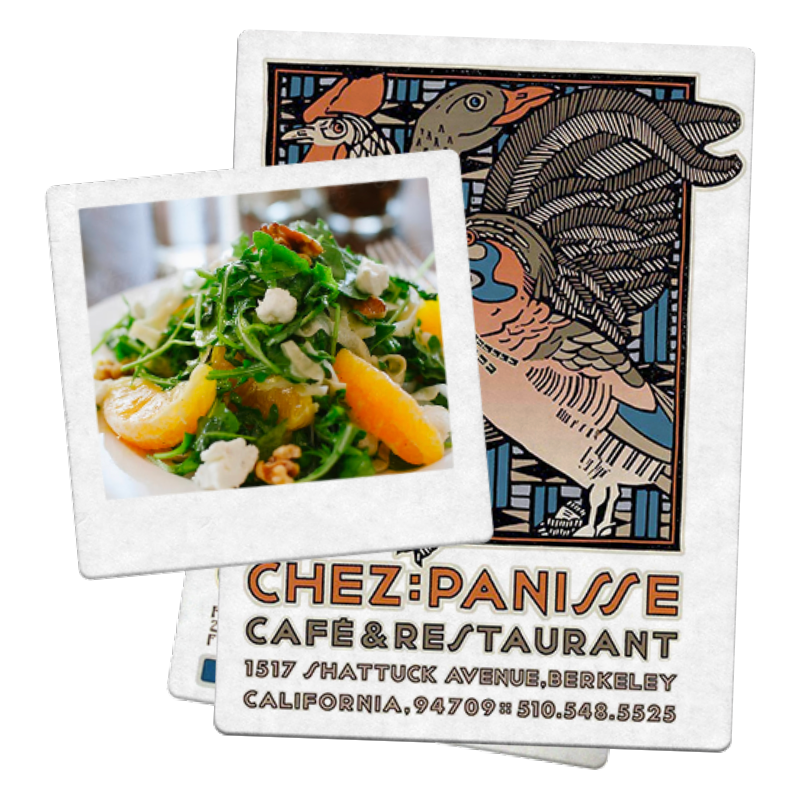 At Chez Panisse, Waters breaded and baked sliced Laura Chenel goat cheese and nestled it in beds of mesclun greens, thus creating the iconic California goat cheese salad. Thanks to this relationship, Laura Chenel gained prominence in the food-service community. With demand soaring, Laura Chenel moved to a Santa Rosa creamery in 1981, and Laura sold her herd to focus on high-quality cheese-making. By the mid-1990s, Laura was selling more than 2 million pounds of cheese a year. The company's success allowed her to move into a new facility at the old Clover Stornetta dairy building in Sonoma and introduce new cheese formats, including her signature fresh goat cheese pillows. 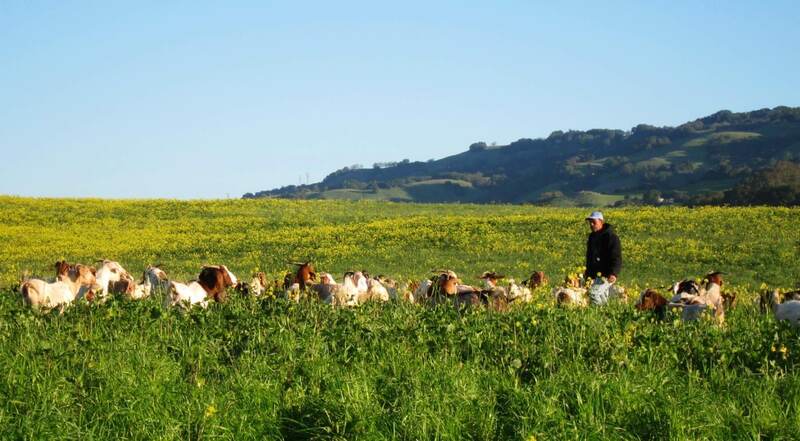 Longing to return full-time to her herd of 500 goats, Laura sold the company to the French Triballat family, a name in artisan goat cheese for four generations. The Triballats' values and dedication to quality mirrored Laura's own philosophy, ensuring that her high-quality, great-tasting goat milk products remain the same for years to come. Always looking to improve, Laura Chenel built a new, state-of-the-art creamery, not far from where Laura sold her first goat cheese. 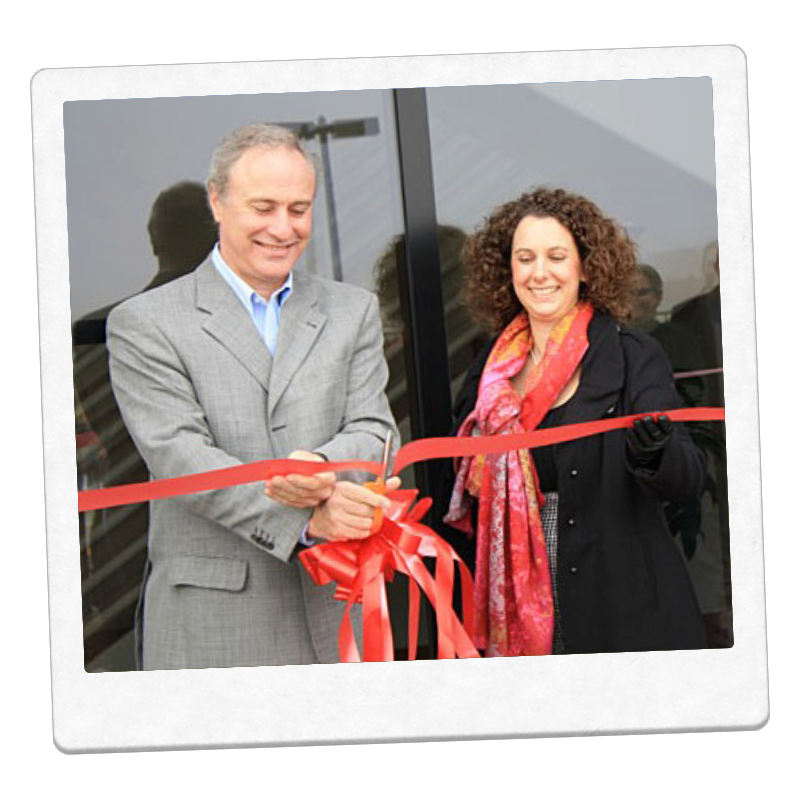 The facility, the first in cheese production to receive LEED Gold certification, reflects the company's investment in sustainable practices, energy-efficient technologies and employee safety, definitively fixing Laura Chenel's roots in the Sonoma County terroir. The key to great cheese is the best milk. 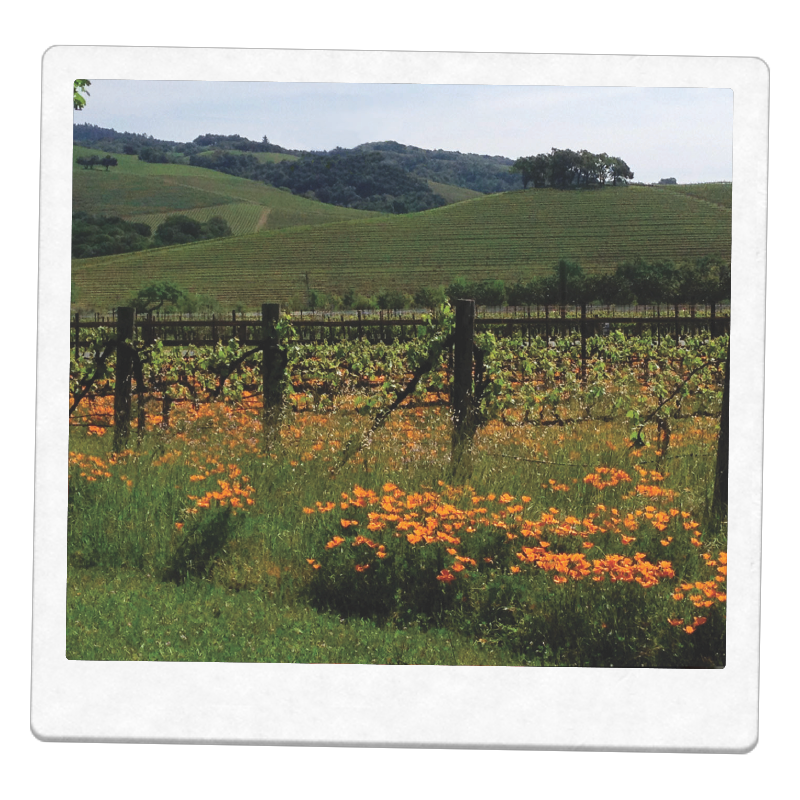 Laura Chenel only sources from family farms in the U.S.—California, Oregon, Nevada and Idaho. We partner exclusively with our farmers and provide support and technologies for happy goat and delicious milk. Once we have the best milk, we rely on time and attention to detail to make great cheese. Our cheese team's skills are just as strong as their love of cheese. Every step, from setting the curd to draining (for the perfect consistency) and aging (for amazing flavor), is essential to the process. Located in the heart of Sonoma County, our state-of-the-art creamery keeps alive the traditions that our founder started four decades ago. We were the first creamery awarded LEED Gold certification in the U.S., and our commitment to sustainable practices, including solar energy and water recycling, helps preserve the terroir for future generations. We source only the best milk from family farm partners throughout the western U.S. The judges have spoken—Laura Chenel’s products are among the world’s best, and that’s no surprise. 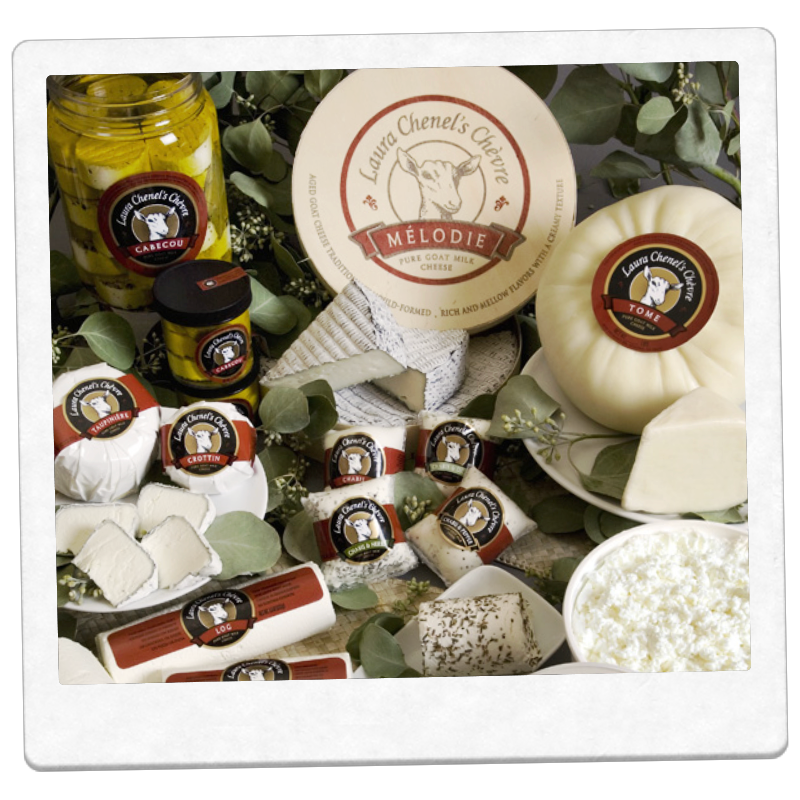 Our high standards ensure only the finest cheeses and yogurts make it to your home. Interested in a career with Laura Chenel? Drop us a line.